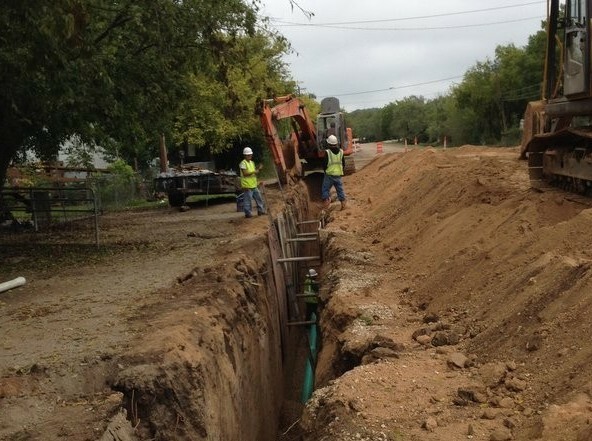 Water & Wastewater | Hewitt Engineering Inc.
Construction has started for the first part of this project located along SH 39 near McNeil Street. The purpose of the project is to provide wastewater service to existing and future nonresidential connections in the central portion of the City and the businesses along Junction Highway (SH 27) in the eastern portion of the City. The proposed wastewater system improvements consist of the installation of new 6-12 inch gravity sewer lines in the central and eastern portions of the City along SH 39 and SH 27.